Fast, safe and reliable connections for fluid handling systems. Appearing in the majority of the fluid transfer lines in the automotive market, ARaymond™ Quick Connectors provide solutions adapted to the constraints and requirements of today’s industries. Quick connectors bring many technical solutions for fluid connections in HVAC (Heating, ventilation and Air-Conditioning) and Sanitation responding to the applicable standard requirements of these sectors. Select from one of the application categories below to view the range of suitable quick connectors. TFC’s dedicated team of engineers can support your connector configuration. 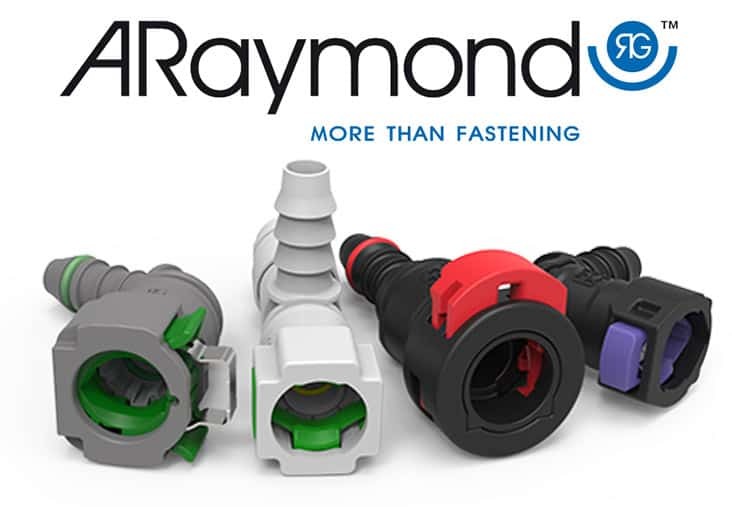 Please send all specifications and information relating to your operating conditions by downloading the ARaymond Quick Connectors Form and sending it to our technical support team via this link.